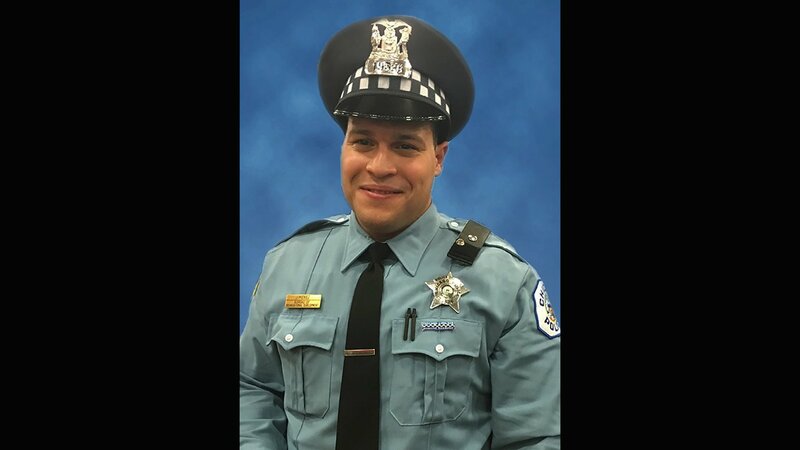 DES PLAINES, Ill. (AP) — A Chicago Police officer who chased a gunman inside a hospital and was killed in a shoot-out last week was remembered on Monday as a "guardian" who was devoted to helping others long before he joined the police force. Speaking to more than 1,000 people in the Chapel of St. Joseph at Shrine of Our Lady of Guadalupe in Des Plaines where Samuel Jimenez, his wife and their three young children regularly attended Mass, Chicago Mayor Rahm Emanuel told the hundreds of officers and other mourners that it came as no surprise that "Sammy Jimenez became Officer Jimenez." Police Superintendent Eddie Johnson, who made a point after last Monday's shooting of telling reporters that Jimenez was not ordered to Mercy Hospital but responded on his own in an effort to help, said that when Jimenez joined the police force last year, he did so to protect people "he hadn't even met yet." Jimenez was doing errands last Monday afternoon when he and his partner followed the police cars that were racing to the hospital after a report that a gunman had shot someone in the parking lot. When they arrived, they jumped out of their squad car and chased Juan Lopez into the hospital moments after Lopez fatally shot Dr. Tamara O'Neal, who had recently called off their engagement. Inside the hospital, Lopez, fatally shot Dayna Less, a pharmacy resident, before he was shot in the abdomen and turned his gun on himself. "All three of them gave to help others," said Vesin, according to the Chicago Sun-Times. "That's why we all form a community today."